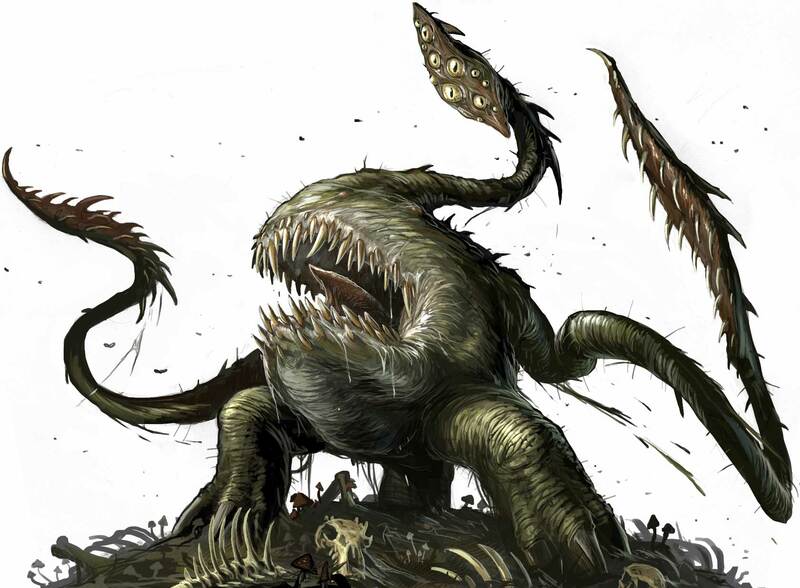 Adventurers have been battling these creatures for more than 30 years—weird monsters born and bred to destroy heroes. Some were created by the experiments of mad wizards, made to guard lonely towers. Others live exclusively in sewers and dungeons, products of niche evolution amid humanity’s forgotten filth. All are fodder for the blades and spells of adventurers. But there’s more to each of these beasts than meets the eye. 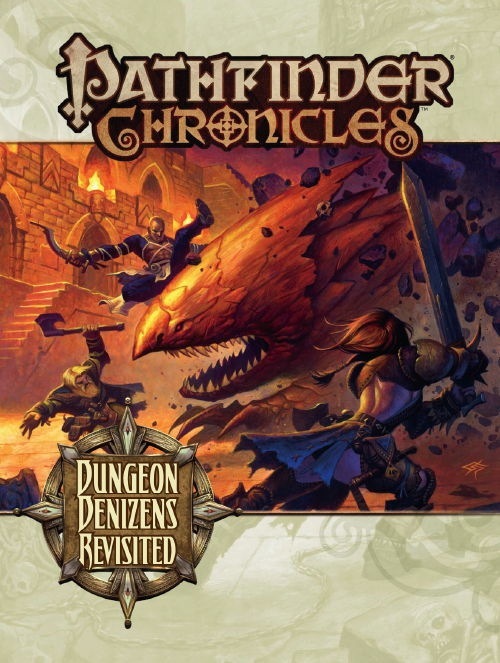 Today, I would like to review the amazing book Dungeon Denizens Revisited of the Pathfinder Chronicles series. Dungeon Denizens Revisited is a paperback of 64 pages, which was released in May 2009 by the publisher Paizo Publishing. The book was written by Sean K Reynolds, Joshua J. Frost, Rob McCreary, Jason Bulmahn, Richard Pett, Greg A. Vaughan, Nicolas Logue, James Sutter, Jason Nelson, Clinton Boomer and fantastically illustrated by Wayne Reynolds, Dave Allsop, Michael Jaecks, Scott Purdy, Dean Spencer, Bem Wooten and Kevin Yan. It shows detailed information about some of the most famous and classic monsters of the role-playing history. You recognize them easily: Bulettes, Cloakers, Gelatinous Cubes, Mimics, Otyughs, Owlbears, Purple Worms, Ropers, Rust Monsters, and Shambling Mounds. 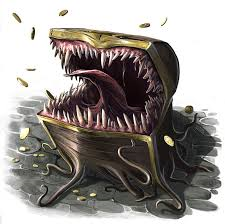 All of them have been reimagined for using in Pathfinder Chronicles Campaign Setting but is compatible with other D20 role-playing games with the Open Gaming License, like the other products of Paizo Publishing. I like this book because it contains the motivations, tactics, ecology, and history of these classic monsters. 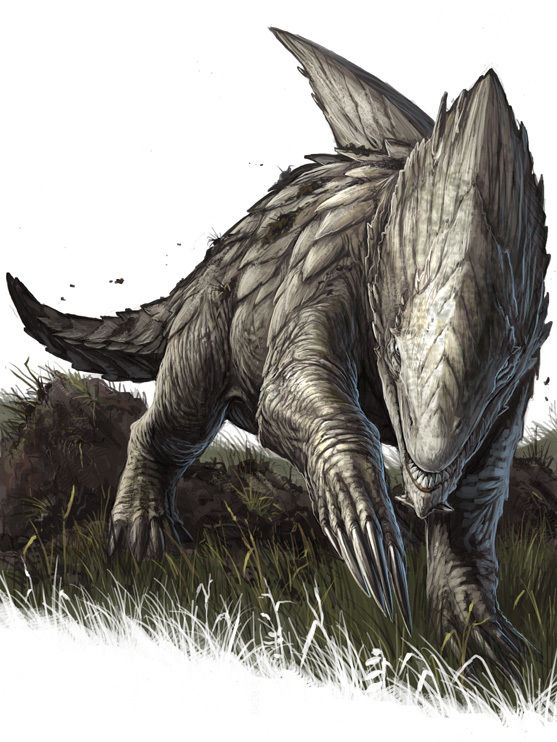 You can learn about variant creatures and different ways of killing them. Furthermore, this book explains new equipment, feats, magic items and a new spell!! As far as I am concerned as soon as I saw in the shop I fall in love of the amazing pictures and evocative descriptions. If you are a lover of Pathfinder, you will enjoy this book. All your old enemies are here, and they’re just as monstrous as you remember! Siguiente Entrada siguiente: Reseña Zombies!! !